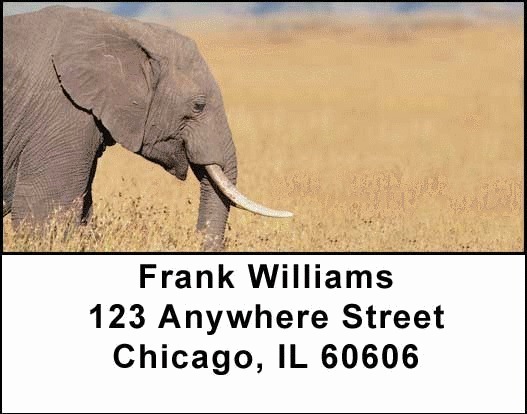 "Elephants Address Labels" product is already in your cart. Take a trip to Africa to enjoy these magnificent Elephants Address Labels that will enthrall you with their grace as they pose majestically for these four different settings. A single elephant shows its ivory tusks in a golden field, a family of three protects their young by hovering over the baby, a mother and baby are showcased in the last two pictures as they parade down a dusty road and walk in a field. Lovers of animals will be delighted with these depictions of these amazing animals that show what protection of the family is all about in a dramatic way.